I have long been a fan of C W Gortner, not only because of how much I enjoy his books, but also because of the gracious way in which he interacts with his readers. I really enjoy the way that he has previously focused on not necessarily unknown characters but rather lesser known characters from European history like Juana, queen of Spain (sister to Catherine of Aragon), or Catherine de Medici. Right from when I first read him I have enjoyed his voice and his portrayal of powerful, flawed women. 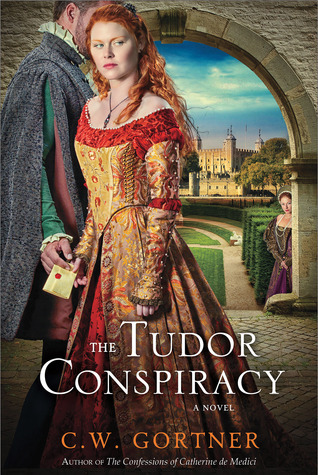 Both The Tudor Secret and the sequel The Tudor Conspiracy bring something new to Gortner's established readers. This time his canvas is the Tudor court of England, a picture that has been painted many times before. 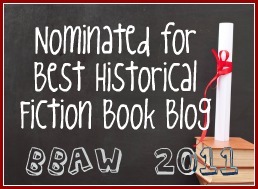 Rather than straight historical fiction this is mystery, and his main protagonist is a male character although there are plenty of female characters in the mix, including Queen Mary and Princess Mary. Whilst this post is ostensibly a review of The Tudor Conspiracy, I do want to talk briefly about The Tudor Secret, which is the first book in the series. Because I have to read a series in order, I made sure to read The Tudor Secret first but I am unlikely to write a whole post so I just wanted to touch on a couple of things before moving onto the second book. I will also try to avoid spoilers for the first book as much as I can. The Tudor Secret was originally self published nearly a decade ago.The author has polished it up ready to be republished by a major publisher but, as someone who has read most of his books, I can definitely see improvements in his writing in his later books and particularly in relation to the second book in this series. Whilst I didn't not like The Tudor Secret, there wasn't a lot that stood out for me. I have mentioned before that I often feel Tudored out and so when I do read something with a Tudor setting I want it to stand out. 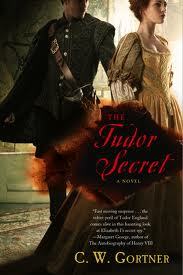 The Tudor Secret wasn't really that book for me. It was a good read, it introduced an interesting enough character, played with a question of identity in a way I have kind of seen before and we saw all the familiar players like Princess Elizabeth, Robert Dudley and wily Lord Cecil as well as some secondary characters like Peregrine the stable boy who quickly attaches himself to Brendan. By way of introduction, Brendan Prescott was a foundling who was abandoned as a baby. He was entered into the Dudley household where the boy was educated to quite a high level, mainly because of his own curiosity and determination. He is called to court to perform the duties of Robert Dudley's squire and quicker than he could say "will that be all my lord?" he is drawn into a world of spies and subterfuge, and into questions like who will rule the realm should sickly King Edward die. With the Dudley's scheming to get Lady Jane Grey to be the next ruler and Lady Mary and Lady Elizabeth being kept waiting in the wings things are going to get very touchy in the Tudor court. And we haven't even talked yet about Brendan's search for his true identity! Earlier in this post I said that if I am going to read a Tudor set book then I want something that stands out. Where the first book in the series fell a little flat to me, the second book, The Tudor Conspiracy most definitely did not. After the events of the last book, Brendan has been living a quiet life in the country. When Lord Cecil calls for him to return to the court to help protect Princess Elizabeth, he doesn't hesitate for too long before agreeing to go undercover. His challenge is to infiltrate the court of Queen Mary and the employ of the powerful Spanish envoy who is exerting a great deal of power over her. The rumours are flying thick and fast that Mary plans to marry Philip of Spain, a prospect that scares the general populace as this will most likely mean that England will be expected to return to the Catholic Church and religious intolerance will spread even more. The possible marriage could also have dire implications for Princess Elizabeth who continues to defy Mary on multiple fronts, most especially to do with religion, and is thus incurring her wrath. Brendan must work to find out if Elizabeth is in imminent danger and protect her as best he can. In the meantime he must also be seen to work for the queen in proving that Elizabeth, Edward Courtenay, Earl of Devon and perhaps others including Robert Dudley are involved in a conspiracy to bring Elizabeth to the throne. Gortner brings the conspiracy that leads to the eventual Wyatt rebellion to life with historically known details and imagination combining perfectly. For Brendan, it proves very difficult to juggle two identities and to be serving different masters who all have different, competing agendas, and that is before we add the fact that he is still trying to determine exactly who he truly is as well! There were two aspects of this book that felt more assured to me. Firstly, there was the writing and secondly the characterisation. While reading The Tudor Conspiracy I felt completely engaged in the action whether it be when Brendan finds himself trying to escape from deadly situations or feels that he is being watched as he crosses over the crowded London Bridge, I was there with him willing him to beat his opponents, gasping as he comes within a swords slash of being maimed or murdered, feeling his fear as he tangles with the scarred man who works for the Earl of Devon, Mr Scarsgill, grieving as he loses somebody close to him (I could not believe that the author killed off that character!) and screwing up my nose so that I can't smell yet another set of clothes that he has ruined! He is very hard on his clothes! I think that the thing that impressed me most about the main character of Brendan Prescott in this book is the author has made him so human. Gortner is not afraid to have Prescott show his fears (which include water, confined spaces and more), his fallibility or his emotions, even as he continues to place the character in dangerous situations. There are things that Brendan did in this book that should not be glossed over easily, and they aren't, but the author has taken the time to make sure that the reader sees clearly Brendan's own thought processes and, in some cases, guilt as he works through the mystery that he is wrapped up in and tries determine who exactly is trustworthy in the pit of vipers that is the court of Queen Mary. There are crosses and double crosses, murders, conspiracies, distrust and enmity between family members, secret identities and oh, so much more. Gortner manages to keep all of the various plot points deftly in hand, providing the reader with a heart in mouth reading experience as you try and race through to the end of the book just to see what happens next! I liked that in the authors note, it is clearly spelled out what where history and imagination crossed paths, and I was glad to see that there will be more adventures featuring Brendan Prescott in future. There are surely many more adventures that await him in the complicated worlds of Queen Mary initially, and later with Queen Elizabeth. I am very much looking forward to reading them. I felt very similar you with both of these. I felt a little let down with The Tudor Secret, but glad I read it, since I really wound up enjoying The Tudor Conspiracy. So glad you agreed with me Shoshanah! The Tudor period has to be my all time favorite in the history of Britain, with the Victorian Era following closely after it. It's interesting to see that the first book in the series was somewhat less good than the second one, because usually the first is the best and then you're lieft a tad disapointed. However, it does make sense that a self-published book years before the sequel is less impressive - in time writers develop their skills and writing style. This cracked me up: "I often feel Tudored out". I guess that happens if you read enough historical fiction about the Tudors.